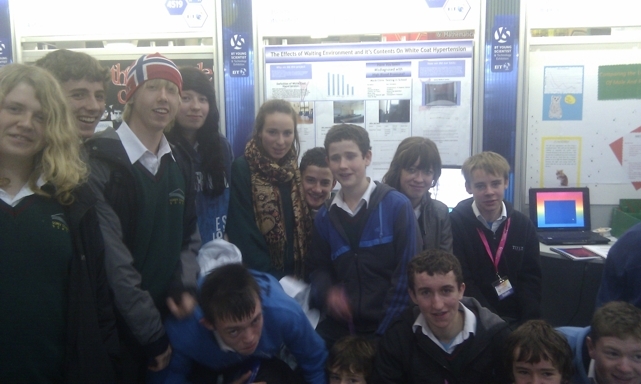 Gorey Community School has a long running connection with the young scientist competition with application being made annually for a place in the exhibition. Students can enter individually or a part of a group of up to three members. There are also 3 age categories in each of the above sections. Entrants: John Flavian, Ailill Bergin. Title: Noise cancelling earphones, safer for your hearing? Entrants: Sarah Augustt, Anna O’ Loughlin, Ryan Coates Nolan. 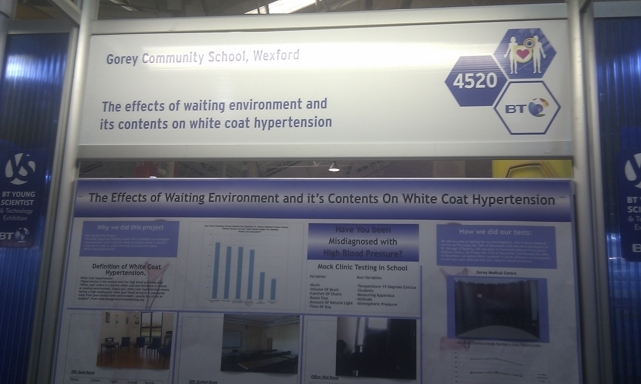 Title: The Effects of waiting environment on white coat hypertension. Entrants: Mark Berney, Clodagh Dunne, Dermot Wildes. 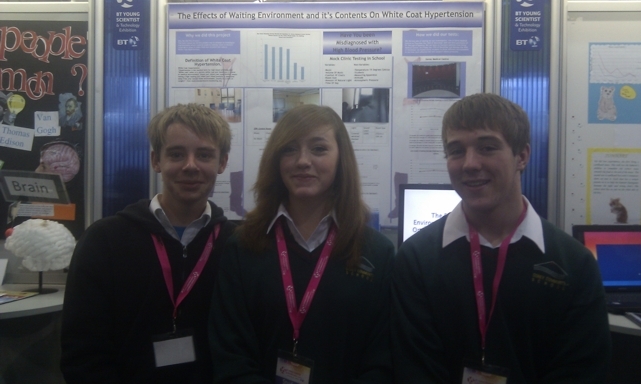 Entrants: Joanne Byrne, Sean Mahon, Eoin Whelan. All the above teams were entered into the competition one of which was successful. The team comprising of Mark Berney, Dermot Wildes and Clodagh Dunne were successful in winning their category, beating 96 other teams in this highly competitive section. 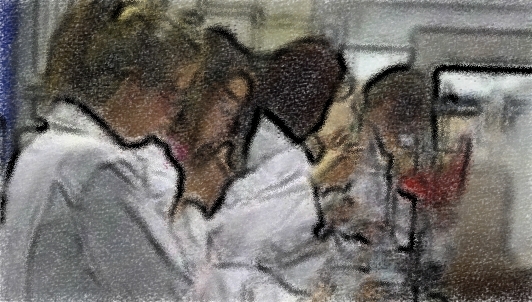 Next year’s competition entries will be due on October 3rd 2011 and the exhibition will run from 112th to the 15 January 2012. If any students are interested in entering a project please contact your science or technology teacher.